A new Gallup poll showed a majority of Democrats hold a more positive view of socialism than of capitalism. The results of the poll come as more Democratic candidates identifying as socialist are running in races all across the US. 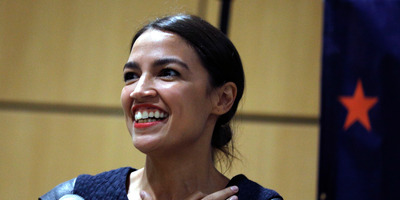 WASHINGTON – Democrats hold a more positive view of socialism than they do of capitalism, according to a poll released by Gallup on Monday. Democrats’ views of socialism have held fairly steady in recent years, but the recent results show a much larger drop (by nine points) in positive views of capitalism in just two years’ time. The poll, which showed that 57% of Democrats have a positive view of socialism – compared to just a 47% favourable view of capitalism – could signal a dramatic shift in the coming elections in November and beyond. The poll also showed massive drops in favorability of capitalism for younger Americans. Capitalism has lost traction with Americans age 18-29, whose positive view of the economic system has fallen by 12 points since 2016, to 45%. At the same time, young Americans’ positive views of socialism is at 51%. On the flip side, only 28% of Americans age 65 and older view socialism positively. Overall, most Americans have a more positive view of capitalism than they do socialism, with 56% and 37% support for each, respectively. The poll comes as an influx of socialist candidates have attempted to upend the Democratic Party’s structure. Vermont Sen. Bernie Sanders, while currently an “independent,” made significant gains in the 2016 presidential race for the Democratic nomination. Since Sanders’s run, more Democrats identifying as socialists have come out of the woodwork, with the most high-profile being 28-year-old Alexandria Ocasio-Cortez, who defeated House Democratic Caucus Chairman Joe Crowley in the primary race for his 2018 re-election bid to represent New York’s 14th District in Congress. Democratic National Committee Chairman Tom Perez has called Ocasio-Cortez “a remarkable reminder of the depth that we have in the Democratic Party” and that candidates like her are the future. “I have three kids, two of whom are daughters. One just graduated college, one who is in college, and they were both texting me about their excitement over Alexandria because she really – she represents the future of our party,” Perez said. But not everyone is on board. House Minority Leader Nancy Pelosi, who has led House Democrats for more than a decade, previously rejected the socialist ascendance as a characterization Republicans want to utilise to broadly brand them, including moderate candidates, as far left and out of touch. Some socialist candidates are gaining footholds in the Democratic Party, but a full on takeover could be years away, as most of the country is still backing capitalism first.